Psalm 25:1-5 – O LORD, I give my life to you. 2 I trust in you, my God! Do not let me be disgraced, or let my enemies rejoice in my defeat. 3 No one who trusts in you will ever be disgraced, but disgrace comes to those who try to deceive others. 4 Show me the right path, O LORD; point out the road for me to follow. 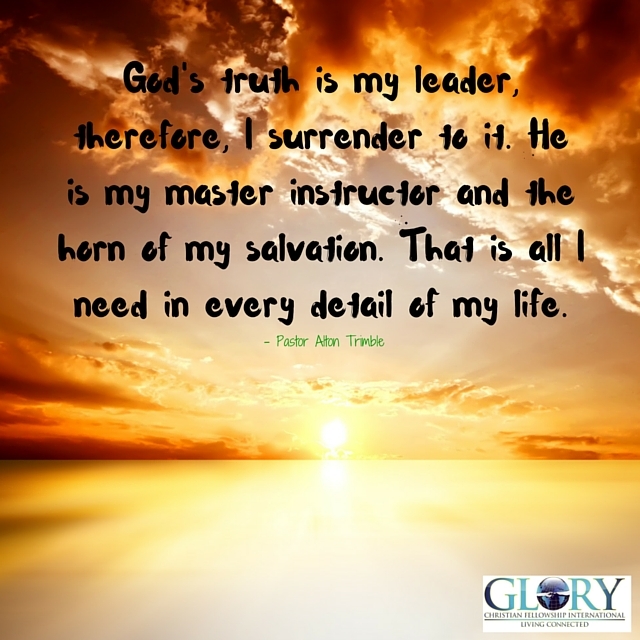 5 Lead me by your truth and teach me, for you are the God who saves me. All day long I put my hope in you. Matthew 5:14-15 – You are the light of the world—like a city on a hilltop that cannot be hidden. 15 No one lights a lamp and then puts it under a basket. Instead, a lamp is placed on a stand, where it gives light to everyone in the house. The text above certainly suggests that the purpose for light is to shine for the benefit of all who stand in its presence. My friend, when you become born again, you are born into leadership. Leading is every believer’s destiny; we are the salt of the earth. 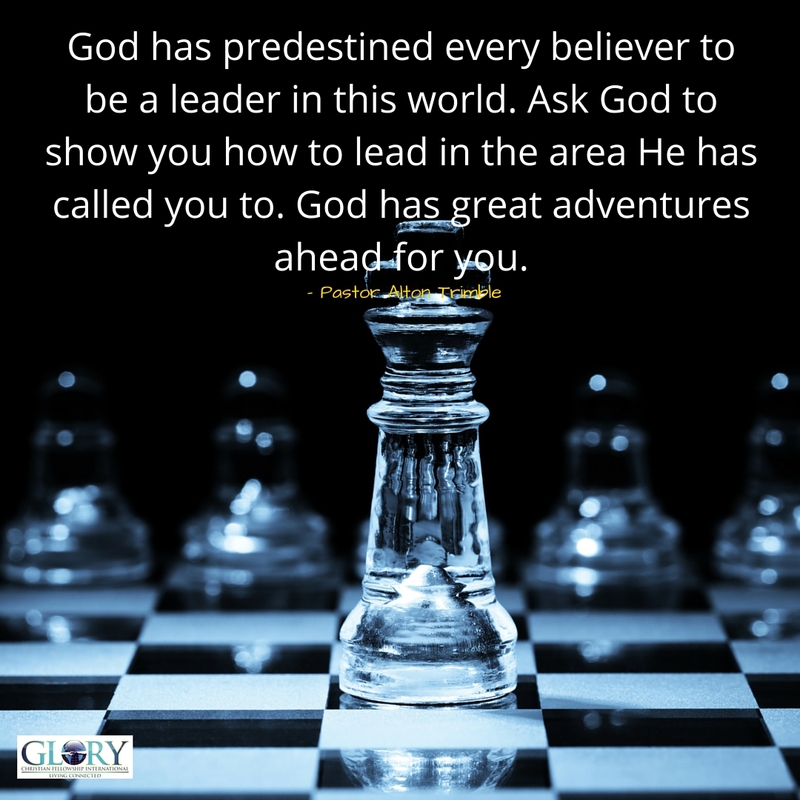 God has predestined every believer to be a leader in this world. Consider the following steps you can take to begin being the leader you were supernaturally birthed to be. 1. See yourself as God sees you. Luke 4:18 – The Spirit of the LORD is upon me, for he has anointed me to bring Good News to the poor. He has sent me to proclaim that captives will be released, that the blind will see, that the oppressed will be set free. 2. Be willing to be transformed by the renewing of your mind. Romans 12:2 – Don’t copy the behavior and customs of this world, but let God transform you into a new person by changing the way you think. Then you will learn to know God’s will for you, which is good and pleasing and perfect. 3. Catch the vision of your church and be a part of it. Psalm 27:4 – The one thing I ask of the LORD— the thing I seek most— is to live in the house of the LORD all the days of my life, delighting in the LORD’s perfections and meditating in his Temple. Hebrews 10:25 – And let us not neglect our meeting together, as some people do, but encourage one another, especially now that the day of his return is drawing near. 4. Serve where you have the opportunity to. Colossians 3:23 – Work willingly at whatever you do, as though you were working for the Lord rather than for people. 5. Be faithful in the small things. Luke 16:10 – If you are faithful in little things, you will be faithful in large ones. But if you are dishonest in little things, you won’t be honest with greater responsibilities. Ask God to show you how to lead in the area He has called you to. God has great adventures ahead for you. 1. Don’t accept your thinking without proper vetting. II Corinthians 13:5 – Examine yourselves to see whether you are in the faith; test yourselves. 2. Protect your head from the enemy’s assault. Psalm 101:3 – I will not set before my eyes anything that is worthless. Proverbs 18:15 – Intelligent people are always ready to learn. Their ears are open for knowledge. 4. Allow God to change your thinking daily. 5. Dream big dreams and have a great vision. Ephesians 3:20-21 – Now glory be to God, who by his mighty power at work within us is able to do far more than we would ever dare to ask or even dream of—infinitely beyond our highest prayers, desires, thoughts, or hopes. 21 May he be given glory forever and ever through endless ages because of his master plan of salvation for the Church through Jesus Christ. 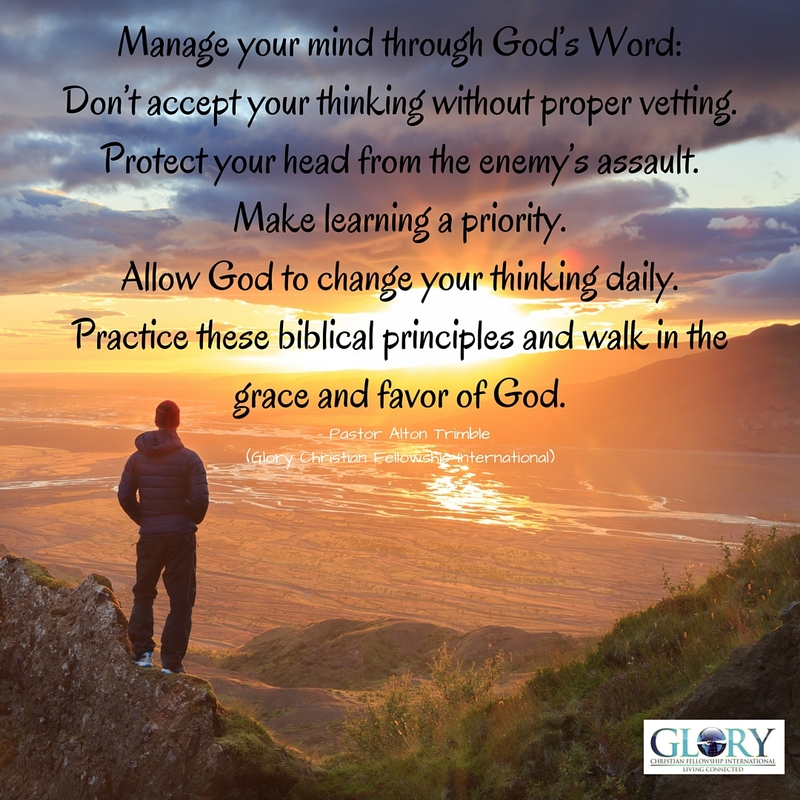 Practice these biblical principles to manage your mind and walk in the grace and favor of God. Establish A Goal To Set Your Goals! I want to encourage you in thinking about the goals you want to set in the seven areas of your life; spiritual, physical, mental, emotional, relational, financial and vocational. The next 50 days of our lives could be the most significant ever. I’m believing God for supernatural transformative change to take place. 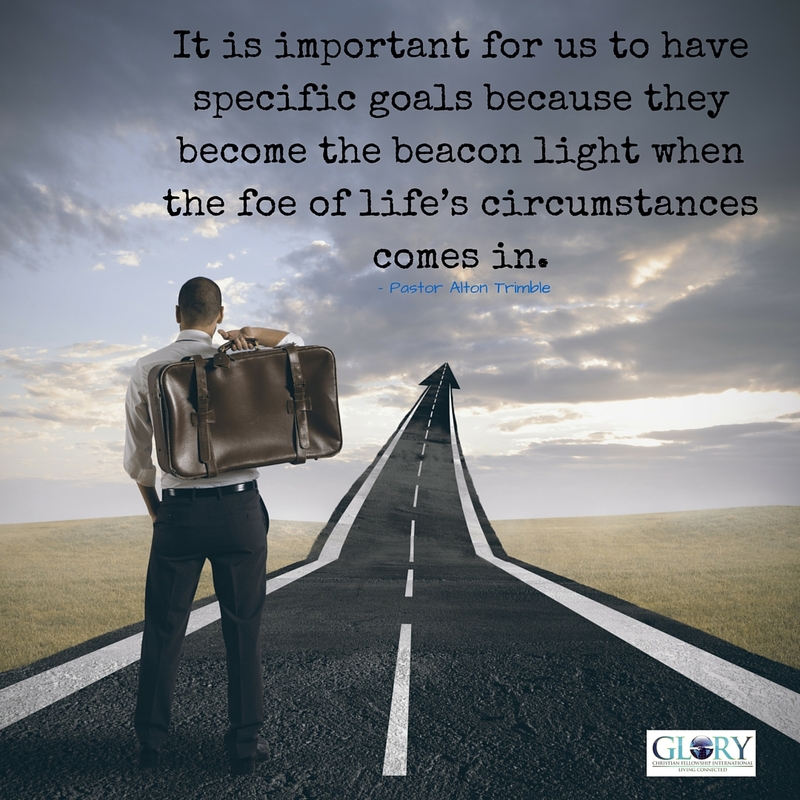 It is important for us to have specific goals because they become the beacon light when the foe of life’s circumstances comes in. We will have moments of weariness, discouragement, failure, disappointment and frustrations but don’t fear those things. Learn instead to transition quickly from the effects of those experiences. Go back to the goals God has given you and begin to be in hot pursuit of what God has as His Plan for your life. Together we can get it done; you pray for me and I will pray for you! Take your future and destiny out of the hands of others by partnering with God to move forward daily in life. Remember that without a goal you are living someone else’s or you are ‘pinballing’ through life waiting for the next hit. Remember the words of the Lord through Paul in II Corinthians 4:7-10 [We now have this light shining in our hearts, but we ourselves are like fragile clay jars containing this great treasure. This makes it clear that our great power is from God, not from ourselves. 8 We are pressed on every side by troubles, but we are not crushed. We are perplexed, but not driven to despair. 9 We are hunted down, but never abandoned by God. We get knocked down, but we are not destroyed. 10 Through suffering, our bodies continue to share in the death of Jesus so that the life of Jesus may also be seen in our bodies.]. God tells us in these verses that for every negative action of the enemy, there is a superior action of God that preserves us in His Plan and Purpose for us. Pause and meditate on that thought today. It will put your present challenge in proper perspective. 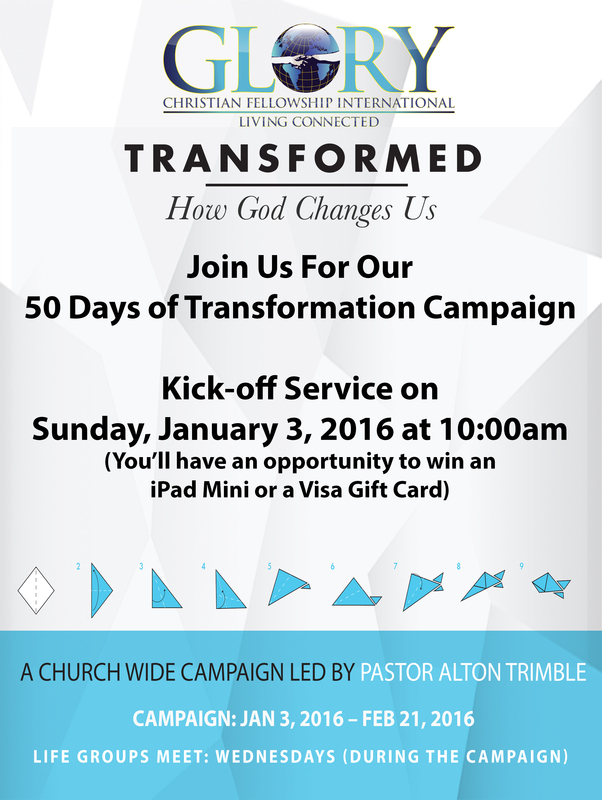 Get Ready To Be TRANSFORMED – Sunday, January 3rd at 10am! 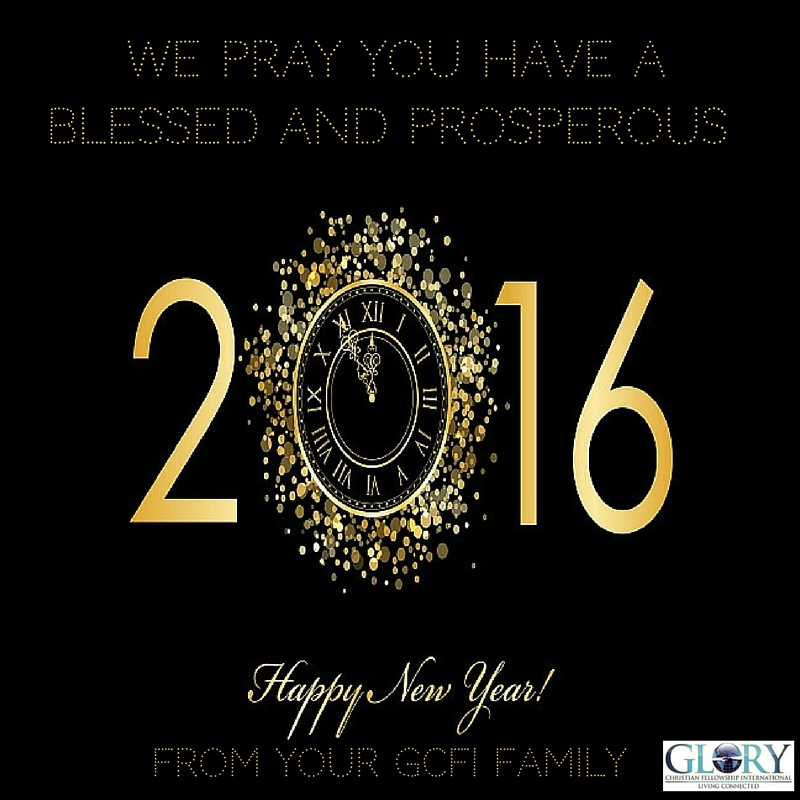 Pastor Alton Trimble And Your GCFI Family Wish You A Happy New Year! 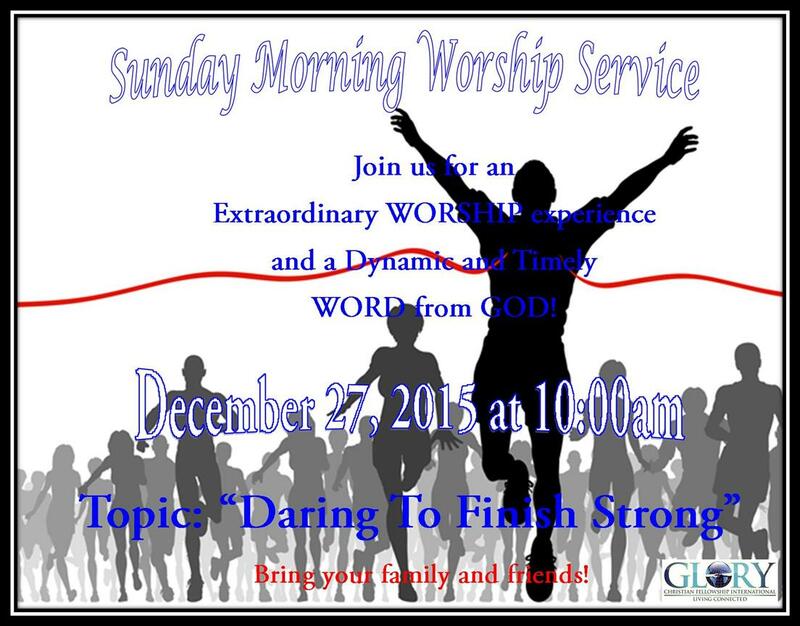 “Daring To Finish Strong” – Worship with us on Sunday, December 27th at 10am!